Tablets provide highly effective anti-inflammatory, anti-cough and expectorant effect. It is also used as a fine pain reliever and sedative agent. 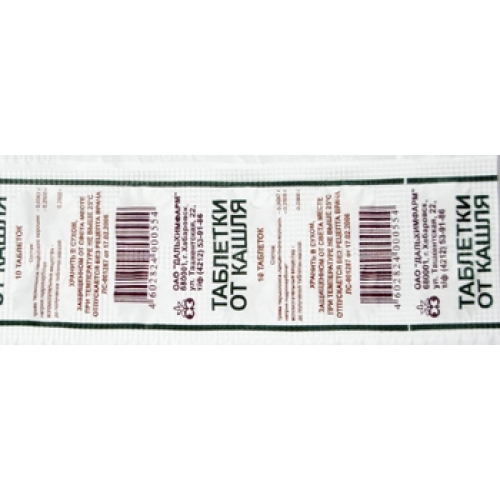 It contains herbs and herbal extracts, which have favourable influence and promote recovery from illness. 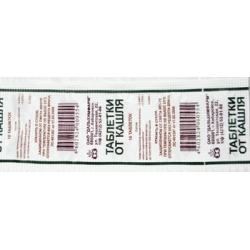 It is recommended for cough of different origin in adults and children over two years old.